The much-anticipated teaser of NGK has been released today i.e February 14. Directed by Selvaraghavan, the film stars Suriya who is essaying the role of Nandha Gopalan Kumaran in the film. Along with Suriya, actors like Sai Pallavi and Rakul Preet Singh will also be seen in the film. The teaser of Tamil actor Suriya’s new film NGK was released today. The film is based on the changing of a do-gooder into a political figure of course with the requisite action thrown in. 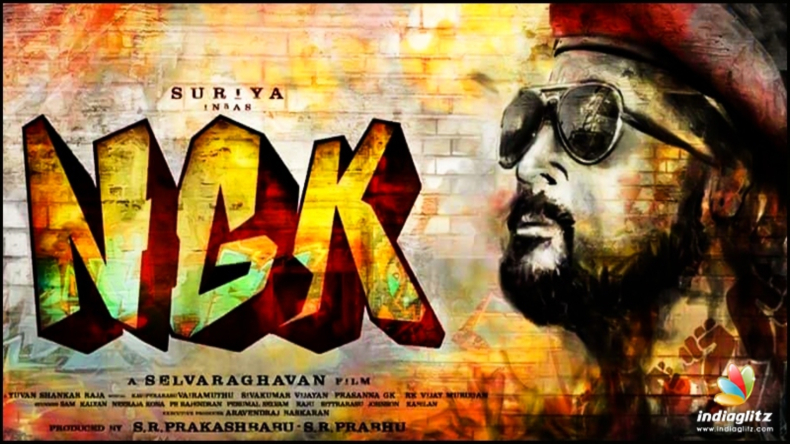 NGK, the initials of the lead character Nandha Gopalan Kumaran essayed by Suriya, is directed by Selvaraghavan. As is the wont in Tamil Nadu and Andhra Pradesh, the initials of political leaders MG Ramachandran and NT Rama Rao have wider and deeper resonance in Tamil and Telugu films as well as politics with their initials MGR and NTR respectively. The NGK teaser released today has NGK becoming the darling of the masses since he extends help to everyone, be it in conflict or for education. Following the exposure to public grievances, he gets into politics to ensure welfare for all. NGK will be Selvaraghavan’s new release after Irandaam Ulagam of 2013. The director’s other films, Nenjam Marappathillai and Mannavan Vanthanadi, are yet to be released. The NGK teaser shows glimpses of the action scenes in it with Suriya engaged in fights. Sai Pallavi and Rakul Preet Singh also star with Suriya in NGK, the first project of the actor and the director.